Adding crown moulding to your home can increase its value as well as a being a beautiful feature to showcase your own unique style. Crown molding can inexpensively furnish you with decorative ideas and plans that will give you the look you have wanted at a price that equates to craftsmanship. 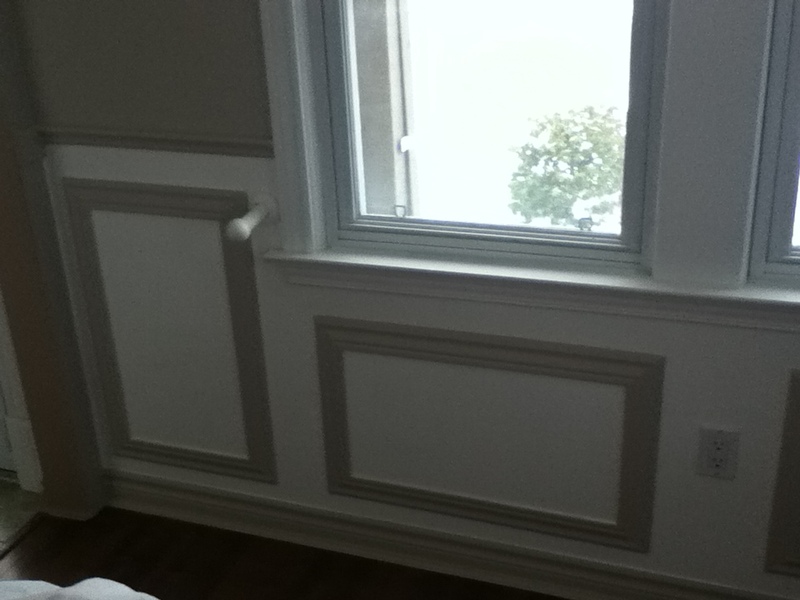 Crown Moulding will add style and substance to your home. It acts as a beautiful accent to your favorite room, staircase, baseboard or to your entire house. Ever Wonder What Different Types Of Flooring Are Made Of ??? 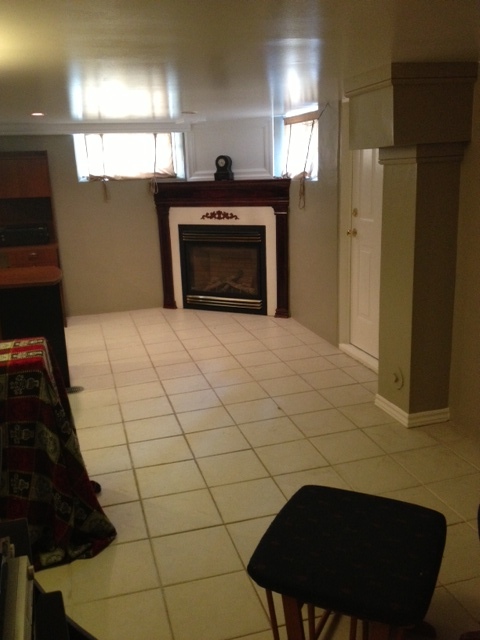 #Ceramic #Tile is a popular flooring choice for today’s homes. #Ceramic #Tile is extremely durable, relatively easy to clean with low maintenance and gives a room an upscale and unique attractive look. Ceramic tile is available in a variety of sizes, shapes, textures and colours, prices and can match almost any decorating style. This type of flooring can add value and appeal to any home. There are floor tiles to suit every use, every taste, and every pocketbook. Stone flooring has a long history of existence and are just as beautiful today with a multitude of varieties and price rages for anyone who is looking to use these products for their next home project. . Today, stone floors create a feeling of luxury. They can create of mood of great formality or relaxed informality, depending on the type of stone. Generally, marble floors are the most formal and flagstone floors are the most informal. The natural variation in color and pattern make stone floor tiles very beautiful, and they are very durable as well. 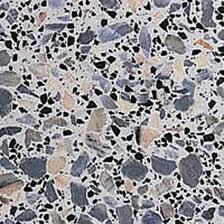 Terrazzo tiles are formed from marble or other stone chips embedded in concrete. The surface is polished to a high sheen. Terrazzo floor tiles are beautiful and easy to maintain. 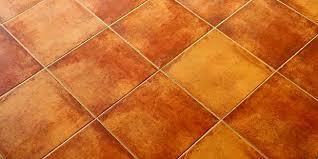 Clay has been used for floor tiles from ancient times. Today, the clay can be processed in a number of different ways, resulting in several categories of tile. Terra cotta is clay that has been fired but not colored, the same material used for garden pots. It is usually left unglazed. The color can vary, due to variation in the mineral content of the soil, but usually has an orange cast. Terra cotta floor tiles absorb liquid, so they have to be treated before use indoors. Whatever type of flooring you choose for your next residential or business remodel, the end results are going to be incredible. These products bring a room to life with its beauty, individuality, and custom designs and will continue to bring you joy for years to come. As I was searching for a photo to place on this particular blog topic “recall”, I couldn’t help but stop and scroll down and truly absorb all of the items in the photo’s that have been on recall. 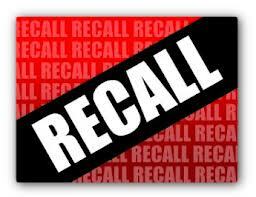 Recall Items ranged from food, medicine, electric appliances, toys, cars, clothing and so much more. I don’t remember this amount of product being recalled 30 years ago but I’m assuming in the world we live in today we appear to be the generation that has almost every item of the modern-day life style. Is anything SAFE anymore? I have provided a link from Healthy Canadians Website that can hopefully educate and inform us of the latest products out there that are on a current recall. Lift the door by the doorknob. If it appears to moves upwards easily then tighten the screws of the top door hinge. If the door is so worn that the hinge screws no longer bite, remove the screws, glue wooden plugs into the holes, and drive the screws back into place. Run your hand around the perimeter of the door when it’s closed. If you feel a draft then the weather-stripping has likely cracked or warped and needs replacement. If there is no weather-stripping, you’ll need to add some. To replace it, open the door and slide out the old weather-stripping. Purchase a replacement kit with vinyl or foam that matches the existing weather stripping and slide new weather-stripping into the grooves in the door or the surrounding frame. This may be difficult but try to find new weather-stripping that exactly matches in profile. Try to identify the door manufacturer or vendor by checking the door and frame for a label, and contact either to see if they can provide replacement stripping. Alternatively, you can find replacement weather strip products at your local home improvement center. If you have an old door without weather-stripping, or a door that you can’t find matching weather-stripping for, you can add or replace it using a weather-stripping kit that’s readily available at most home centers. These kits include various types of weather-stripping, including bronze, wood or metal flanges wrapped with foam, and metal flanges lined with vinyl or silicone bulbs. The kits contain two side strips, a top strip, and fasteners. Consult with the store experts before choosing. They may refer you to a catalog to order the type that you’ll need. Once you’ve purchased the appropriate kit, close the door and measure the top of the exterior frame from side to side. Measure and mark the length on the short section of the weather stripping and cut the foam or vinyl part of the strip with a utility knife or scissors and the metal or wood with a hacksaw. Starting at the top, place the stripping along the exterior of the door against the jamb with the foam or vinyl against the door, compressing slightly but not too much or the door won’t latch when you close it. Then nail or screw in place, positioning the nails or screws about 2 inches in from each end (to avoid splitting), and spacing the others about 12 inches apart. Measure and cut the side strips with coped cuts (where one piece is cut square and the other piece is cut to fit over it) at one end of each to make a clean, tight joint at the top. Use a scrap to trace the line. Cut the foam with a scissors, and cut the metal or wood section of the profile with a coping saw. Make the coped cut first, leaving extra length for the bottom cut. Then cut the bottoms. File or sand the cuts for a smooth fit. Make sure that the weather-stripping fits snugly all around and that the door shuts and latches easily before you drive the nails in. For small adjustments, pull the nails and start them in a new spot. If you’re using metal weather-stripping, loosen the screws to adjust. If you use a wooden flange, paint or stain it to match the door. You’ll also want to add a door sweep if possible. To determine if you need one, close the door and look for light coming through or feel for a draft. If you see a lot of light or feel a draft, install a new door sweep. If you see light or feel a draft, you should add a sweep. 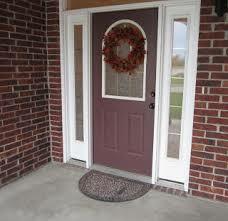 If the floor or carpet is even with or higher than your threshold, you can’t add a sweep. If you can add a sweep, consider an easy-to-install face-mount door sweep with a flexible vinyl flap. Measure the width of the door from inside and mark the length on the sweep and cut it, using a scissors or utility knife for the vinyl and a hacksaw for the metal part. Hold the sweep in place allowing the flexible portion to lightly touch the threshold. Mark the screw positions, drill pilot holes with a 3/32-inch drill bit, and then screw in place onto the inside face of the door. Caulk is used to create a seal in a tub where the tile and the tub join. Caulk prevents water from seeping up into the tiles and causing the tiles to separate from the wall and mildew to form. Caulking a tub will take a couple of days if you need to remove old caulk because the area will have to completely dry before you can apply new caulk. It can be accomplished in an hour or two if you’re starting with clean surfaces. Remove any old caulk. Silicone caulk can be removed with a razor knife and a scraper. Be careful not to damage the tub or the tile. Water-based caulk are harder to remove where as silicone caulk is more flexible. Use a hair dryer to soften the caulk and then scrape it out. Use silicone caulk on fiberglass. Water-based caulk can be used on ceramic tubs and tiles. Exterior or oil based caulk is not recommended for this type of project. 2) Place masking tape on tub edge, approximately 3/16 of an inch away from the wall. 3) Place masking tape about 3/16 of an inch up the wall around the tub. 5) Place caulking between tub and wall joint around tub. 6) Get some liquid dish soap and stick your finger into soap and smooth off caulking. Allow extra caulking to go onto masking tape. 7) Remove masking tape while still wet. 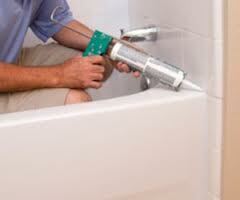 8) Leave water in tub till caulking is dry and empty water from tub. WARNING : Clean up any spills or drips immediately. Silicone caulk are very difficult to clean once they’re dried and leave a film on your hands. Christmas is coming!!! Have YOU Got Your Christmas Tree Up Yet?? Take the Poll and find out when the best time is to start holiday decorating! Weather you choose to decorate your home for the holiday season with indoor or outdoor lighting or both, please remember to put SAFETY FIRST. A suggestion to save some energy $$$ on your “HOLIDAY” electric bill this year, consider using less lights when decorating your home. Inspection of all lights and extension cords BEFORE, creating a BRILLIANT MASTER SHOW PIECE LIGHTING SHOW for the family and neighbours to enjoy this year, will not only save you the hassle of replacing any damaged bulbs or extension cords, it’s putting safety first. Choose decorating lighting that is marked by a recognized certification agency or regulatory body such as CSA or ULC. Indoor and Outdoor lights sold in Canada are clearly marked for what their intended uses are. Follow electrical product ratings for either indoor or outdoor use and wattage. Always practise caution and safety. Always read and follow the manufacturers instructions and guidelines for stringing light sets together. 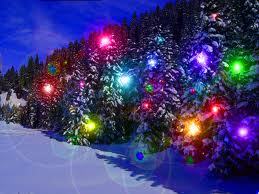 As a general rule, string no more than three standard size sets of lights together. WARNING!!! Never overload any extension cords or electrical receptacles. Practice Safety! Always unplug all holiday lighting when you go to bed or leave your home. Consider purchasing and using automatic lighting timers for both indoor and outdoor to ensure your lights are not left on. As a safety precaution, electrical cords should never be run through windows, door openings or under carpeting. Roll up excess electrical cords and keep safely away from high traffic areas and pets. Secure cords to prevent them from being pulled or tripped over and NEVER USE A STAPLER to secure them. WARNING!!! Extension cords should never kept plugged in when not it use. Before replacing a light bulb, confirm with the manufacturer that the replacement bulb is equal or of lesser wattage. Remember to ALWAYS PRACTISE SAFETY FIRST and you and your loved ones will enjoy another Wonderful Holiday together this year.